Hackensack, N.J. (December 17, 2013) – Underscoring their commitment to accelerate and contribute to new targeted treatments for blood cancers, Regional Cancer Care Associates (RCCA) researchers/physicians from John Theurer Cancer Center at HackensackUMC, one of the nation’s top 50 best hospitals for cancer, contributed to more than 35 blood cancer studies presented at the 55th Annual American Society of Hematology (ASH) Meeting in New Orleans from December 7-10. ASH is the world’s largest professional society dedicated to the understanding and treatment of blood cancers and other blood disorders. “Our work presented at ASH 2013 illustrates not only our commitment to advancing the understanding of blood cancers and the development of novel targeted therapies for patients, it also demonstrates how much we are part of the true revolution occurring in cancer,”? said Andre Goy, M.D., M.S., Chairman and Director, and Chief of Lymphoma, John Theurer Cancer Center and Chief Science Officer and Director of Research and Innovation of Regional Cancer Care Associates. “After decades of research together with investigators from across the world, it is palpable that we are at a tipping point of unprecedented changes in oncology. I’m truly excited by what lies ahead for our patients.”? “We are committed to advancing the future of blood cancer care through research such as that presented at ASH 2013. I want to thank our physicians and research staff for their efforts, as well as all of the patients who participate in our studies,”? said Andrew L. Pecora, M.D., F.A.C.P., C.P.E., Chief Innovations Officer, Professor and Vice President of Cancer Services, John Theurer Cancer Center and President of Regional Cancer Care Associates. 1- Confirmation of the impressive activity of novel biological agents, particularly those targeting key functions within cancer cells. “The most promising novel agents include PI3K inhibitors (idelalisib, IPI-145, AMG319 and Bay 80-6946), and Bcl-2 inhibitors (ABT-199),”? said Dr. Goy, “Both idelalisib and BTK inhibitor ibrutinib,(which was presented last year as a single agent with very impressive activity in mantle cell lymphoma (MCL) and chronic lymphocytic leukemia (CLL)) are being integrated into our standard regimens with promising preliminary data also shown at ASH.”? Dr. Goy and Anthony R. Mato, M.D., M.S., M.S.C.E., Director, CLL Program at John Theurer Cancer Center, contributed to studies of PI3K inhibitors, including AMG319 and idelalisib, during the meeting. 2- The astounding diversity of cancer cells in their mechanisms (i.e., cells that are “wired differently”? ), can now be tackled through high throughput technologies. John Theurer Cancer Center presented novel work using next generation sequencing, in collaboration with Foundation Medicine, which suggested molecular differences among patients with very poor risk aggressive lymphomas. This oral presentation by Dr. Goy on Monday, December 9 provided new insights into the complexity of the genomic landscape of lymphomas and served as an example of expanded opportunities for precision medicine. “Such techniques will allow physicians, in the near future, to better appreciate the differences among patients and help guide their treatment decisions offering patients the best tailored therapy for better outcomes,”? said Dr. Goy. 3- Cell therapy (modified T-cells) with unprecedented results in aggressive leukemias (such as acute lymphoblastic leukemia), CLL and lymphoma will revolutionize immune-based approaches to cancer. John Theurer Cancer Center presented results of a collaboration with the National Cancer Institute showing responses in more than 70% of patients. 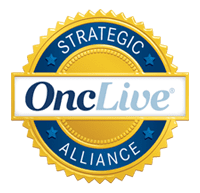 “This groundbreaking therapy will definitely be critical to prevent cancer recurrence and will likely apply to a large number of tumor types, particularly in hematological malignancies, in the coming years,”? said Dr. Goy. The following are select abstracts from the ASH annual meeting with involvement from RCCA physicians/researchers at John Theurer Cancer Center. RCCA contributors are indicated in bold, * indicates lead study authors or presenters. • Phase I Trial of Selinexor (KPT-330), A First-In-Class Oral Selective Inhibitor Of Nuclear Export (SINE) In Patients (pts) With Advanced Acute Myelogenous Leukemia (AML), Martin Gutierrez, M.D. and David S. Siegel, M.D., Ph.D.
• Preliminary Evidence Of Anti Tumor Activity Of Selinexor (KPT-330) In a Phase I Trial Ofa First-In-Class Oral Selective Inhibitor Of Nuclear Export (SINE) In Patients (pts) With Relapsed / Refractory Non Hodgkin’s Lymphoma (NHL) and Chronic Lymphocytic Leukemia (CLL), David S. Siegel, M.D., Ph.D.
• Baseline Characteristics Of Patients With Chronic Myeloid Leukemia In a Prospective Observational Study (SIMPLICITY), Stuart Goldberg, M.D. • Results Of a Phase 2 Randomized, Open-Label, Study Of Lower Doses Of Quizartinib (AC220; ASP2689) In Subjects With FLT3-ITD Positive Relapsed Or Refractory Acute Myeloid Leukemia (AML), Stuart Goldberg, M.D. • A Randomized Phase II Study Of Sapacitabine In M.D. S. Refractory To Hypomethylating Agents, Stuart Goldberg, M.D. • Predictors Of Treatment Outcome With The Combination Of Carfilzomib, Lenalidomide, and Low-Dose Dexamethasone (CRd) In Newly Diagnosed Multiple Myeloma (NDMM), David H. Vesole, M.D., Ph.D.
• MM-005: A Phase 1 Trial Of Pomalidomide, Bortezomib, and Low-Dose Dexamethasone (PVD) In Relapsed and/Or Refractory Multiple Myeloma (RRMM), David S. Siegel, M.D., Ph.D. and David H. Vesole, M.D., Ph.D.
• Phase 1b/2a Open-Label, Multiple-Dose, Dose-Escalation Study To Evaluate The Safety and Tolerability Of Intravenous Infusion Of SNS01-T In Patients With Relapsed Or Refractory Multiple Myeloma, Mantle Cell Lymphoma, Or Diffuse Large B Cell Lymphoma, David S. Siegel, M.D., Ph.D.
• Anti Tumor Activity Of Selinexor (KPT-330), A First-In-Class Oral Selective Inhibitor Of Nuclear Export (SINE) XPO1/CRM1 Antagonist In Patients (pts) With Relapsed / Refractory Multiple Myeloma (MM) Or Waldenstrom’s Macroglobulinemia (WM), Martin Gutierrez, M.D. and David S. Siegel, M.D., Ph.D.
• Interim Analysis Of The Mmrf Commpass Trial, a Longitudinal Study In Multiple Myeloma Relating Clinical Outcomes To Genomic and Immunophenotypic Profiles, David S. Siegel, M.D., Ph.D.
• Twice-Weekly Oral MLN9708 (Ixazomib Citrate), An Investigational Proteasome Inhibitor, In Combination With Lenalidomide (Len) and Dexamethasone (Dex) In Patients (Pts) With Newly Diagnosed Multiple Myeloma (MM): Final Phase 1 Results and Phase 2 Data, David H. Vesole, M.D., Ph.D.
• Indatuximab Ravtansine (BT062) In Combination With Lenalidomide and Low-Dose Dexamethasone In Patients With Relapsed and/Or Refractory Multiple Myeloma: Clinical Activity In Len/Dex-Refractory Patients, David S. Siegel, M.D., Ph.D.
• The Hypoxia Inducible Factor-2/Arginase-1 Axis Plays An Adaptive Role In Gvhd, Robert Korngold, Ph.D.
• Long-Term Follow-up of Patients With Multiple Myeloma Who Received Allogeneic Hematopoietic Stem Cell Transplantation, Michele L. Donato, M.D. 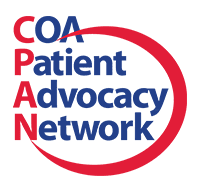 *, David S. Siegel, M.D., Ph.D., David H. Vesole, M.D., Ph.D., Phyllis McKiernan, APN, Themba Nyirenda, Ph.D., Melissa Baker, APN, Anthony R. Mato, M.D., M.S.C.E, Joshua R. Richter, M.D., Andrew L. Pecora, M.D. and Scott D. Rowley, M.D. • Overview Of The Genomic Landscape Of High Risk Diffuse Large B-Cell Lymphoma Using Targeted DNA and RNA Sequencing, Andre Goy, M.D. *, Andrew L. Pecora, M.D. • Dose Intensive Induction Followed By Allogeneic Stem Cell Transplantation More Than Doubles Progression-Free and Overall Survival In “Double-Hit”? Lymphoma (DHL), Christina Howlett, Pharm.D. *, Andre Goy, M.D., Tania Zielonka, Andrew L. Pecora, M.D., Tatyana Feldman, M.D., Scott D. Rowley, M.D., Michele L Donato, M.D., Mary Timberg, M.S.N., Gabriella Gadaleta, M.S.N., David H. Vesole, M.D., Ph.D., Pritish K. Bhattacharyya, M.D., Kar Fai Chow, M.D., Raihan Faroqui, B.S., Maria Rosario and Anthony R. Mato, M.D., M.S.C.E. • Mature Response Data From a Phase 2 Study Of PI3K-Delta Inhibitor Idelalisib In Patients With Double (Rituximab and Alkylating Agent)-Refractory Indolent B-Cell Non-Hodgkin Lymphoma (iNHL), Andre Goy, M.D. • First-In-Human Study Of AMG 319, a Highly Selective, Small Molecule Inhibitor Of PI3Kδ, In Adult Patients With Relapsed Or Refractory Lymphoid Malignancies, Anthony R. Mato, M.D., M.S.C.E and Andre Goy, M.D. Each year, more people in the New Jersey/New York metropolitan area turn to John Theurer Cancer Center for cancer care than to any other facility in New Jersey. The 14 specialized divisions feature a team of medical, research, nursing, and support staff with specialized expertise that translates into more advanced, focused care for all patients. John Theurer Cancer Center provides comprehensive multidisciplinary care, state of the art technology, access to clinical trials, compassionate care and medical expertise — all under one roof. Physicians at John Theurer Cancer Center are members of Regional Cancer Care Associates one of the nation’s largest professional hematology/oncology groups. For more information please visit www.jtcancercenter.org. 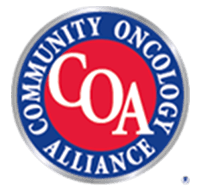 Regional Cancer Care Associates extends across New Jersey with more than 90 cancer care specialists, growing to include more than 100, and is supported by 700 employees at 27 care delivery sites, providing care to more than 20,000 new patients annually and over 230,000 existing patients. RCCA takes responsibility to ensure access to the highest quality, compassionate and cutting-edge cancer care for its patients while controlling the cost of this care. For more information visit: www.regionalcancercare.org.